Use store-bought croissants for a simple hack for gooey croissant cinnamon buns with a sticky, pecan topping for easy cinnamon rolls ready in 30 minutes. Sometimes brunch can be intimidating, the idea of having to use yeast to make dough from scratch can make people run to the grocery store–I know, because I’ve been there. And while I’m not intimidated by yeast anymore, it did take me a while to get used to making my own doughs and breads. And even with that said, I definitely do not consider myself an expert bread baker. 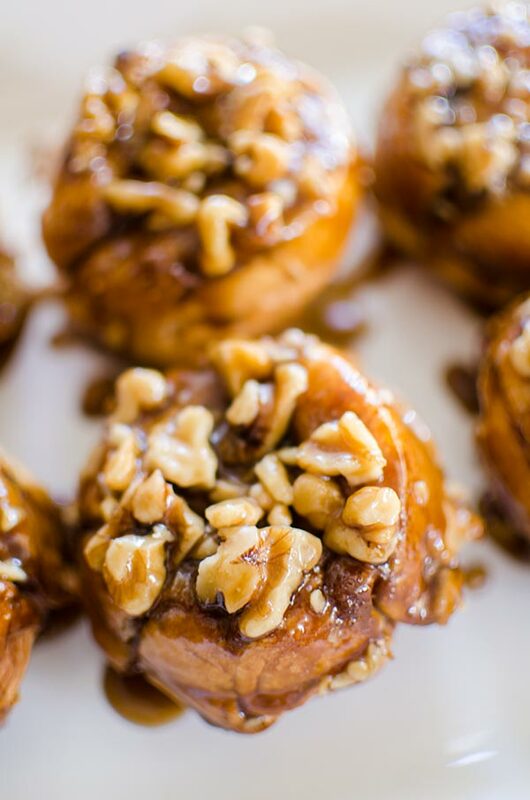 There are times when there are certain shortcuts we can take in the kitchen, I’ve made French toast using croissants before, and now I’m using a similar hack to make these incredible sticky cinnamon buns. It starts with melting butter, maple syrup and sugar together and adding pecans for the perfect crunchy topping for the buns. This is really the only hands-on prep that is required. Then all you have to do is form your croissants into the perfect shape and pop them in the oven. 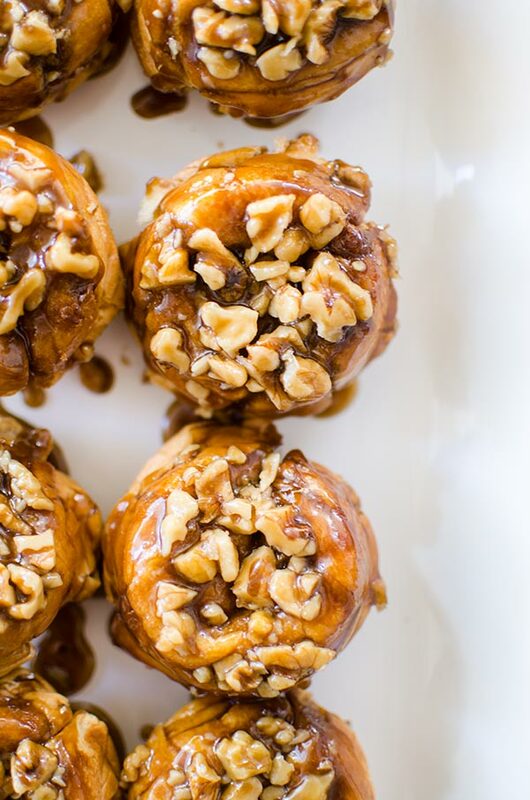 My mom always made sticky buns like this with pecans, which is why I wanted to be sure to include the pecan topping–plus, it gives them that extra wow factor once they are out of the oven! For this recipe, I use a large muffin tin, a standard sized muffin tin was just too small for the croissants (no one will be complaining about having larger cinnamon buns, I promise). In a small pot, melt butter with brown sugar and maple syrup over medium-low heat. Stir in pecans. Remove from heat and carefully pour into a large muffin tin. Curl croissants into a half moon shape and mold into muffin tin, pressing down into butter mixture. Bake for 20 minutes. Once finished cooking, remove from oven and allow to cool for 10 minutes. Carefully turn out onto a platter, cinnamon buns should pop right out. 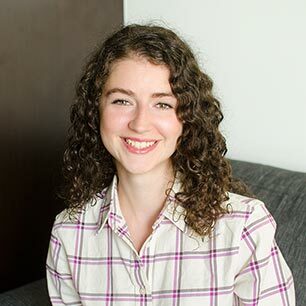 Disclosure: This post was sponsored by Bauli – as always, all opinions are my own. Thank you for supporting my sponsors and allowing me to continue creating recipes like this recipe for croissant cinnamon buns.